Compare wireless router and modem providers Belkin, D-Link, Huawei, iiNet, Netcomm, NETGEAR, Telstra Gateway and TP Link on their performance & reliability, range of reception, speed, features, ease of use, value for money and overall satisfaction. 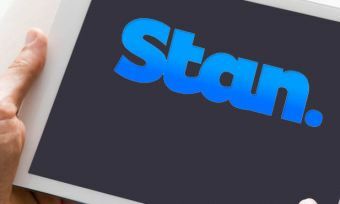 Canstar Blue research finalised in October 2018, published in December 2018. Finding the internet sweet spot, Netcomm has topped Canstar Blue’s 2018 customer satisfaction ratings for wireless routers and modems, scoring five stars in all research categories. Slow internet can be a struggle for many Australian households, with plenty of our favourite appliances and tech pieces requiring a reliable connection to get the most out of them. But as much as we’d like to simply blame our providers for slow internet, it can sometimes be the modem itself that’s standing in the way of a good time. So, it’s best to know what you’re getting yourself into when it comes to selecting and using a router for your home, as it might save you some frustration down the line. With plenty of brands and models available – and many internet providers bundling modems into their internet deals – narrowing down your options can be a buffering challenge. Add in all that industry jargon, and a modem can be a tough buy indeed. 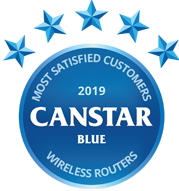 That’s why Canstar Blue produces an annual review of routers and modems to find out which are up to speed with Aussie customer satisfaction, and which are lagging behind the times. While Netcomm claimed top spot in all categories, competitors including TP Link and iiNet also achieved some reasonable results. However, Netcomm was the standout performer this year, replacing TP Link at the top of the charts from 12 months ago. Read on as we guide you through everything you need to know about routers and modems, and explain what the eight brands in our review have on offer. How does a wireless router work? A wireless router connects your personal devices – such as mobile phones and tablets – wirelessly to the internet. This is done through the router acting as a ‘link in the chain’ of your home’s wireless network, with the wireless router forwarding IP packets from one network to another. That is to say, a router is a device that joins two networks together, in this case being the router to the internet, and your router to your devices. Routers are also used to ‘daisy chain’ networks around your home. This is particularly useful if you need to get wireless internet signals into the farthest reaches of your home. This can get complicated and the signal can potentially get diluted the more ‘links in the chain’ you have, but wireless routers do present a convenient way to ‘route’ the internet around your home. What makes a good router? Many people just ‘plug and play’ with their router, but knowing about your router’s Wi-Fi standards and bands, classification and features are important for selecting a capable wireless router for your needs. You may have seen the various numbers and letters specifying your wireless router’s ‘standards’. Simply put, you should be looking out for routers with the standards of ‘802.11n’ or ‘802.11ac’. All standards are backwards and forwards compatible, but with data speeds increasing significantly since standards were introduced, it’s important to get a router with decent standards. The first routers only had maximum speeds of up to 2Mbps, which is obviously much too slow for today’s rigorous demands. These first routers had an ‘802.11’ standard. 11n: With its standards ratified in 2009, this specification of router is now capable of speeds up to 300Mbps. This is probably the most common standard of router on the market today, and ISPs will frequently bundle a router with this standard with your plan… but you can do better. 11ac: A pretty new technology, 802.11ac routers operate on the ‘dual band’ system, meaning that they operate on the 2.4GHz and 5GHz Wi-Fi bands. This means less interference between devices and the potential for more uninterrupted and unadulterated speeds. 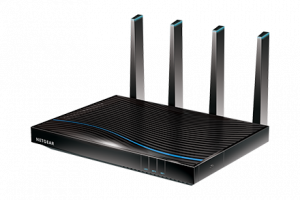 These routers are capable of speeds up to 1300Mbps on the 5GHz band, with 450Mbps on the 2.4GHz band. Higher-demand usage – like online gaming and downloading large files – is likely to need the 5GHz band, while lower-demand requests such as general browsing are likely shifted to the 2.4GHz band. This frees up the higher-speed band for those who need it. Long story short, you should ideally be looking for a dual-band, 802.11ac wireless router. 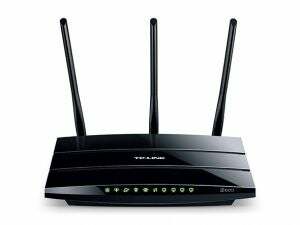 Failing that, an 802.11n router will do the job, and is the cheaper and more commonly-available of the two standards of wireless router – any older standard and you run the risk of suffering from an inferior speed capacity. Beyond the standards stipulated above, there are a few other numbers and letters to look out for when buying a wireless router. You might have seen codes starting with an ‘AC’ or ‘N’, followed by a three or four-digit number – N600, AC1900 and so on. This is the Wi-Fi classification and it’s worth paying attention to it. The numbers stipulate, with dual-band routers, the combined speed of both bands, rounded to the nearest 100. For example, (stay with us) ‘AC1900’ roughly means a 600Mbps link speed using the 2.4GHz band, and 1300Mbps using the 5GHz band. To get the most potential from your fancy, top-shelf router, you’ll need a compatible device. It’s no good having a router that has an ‘AC1900’ designation if your devices around the home only have a link speed of ‘N600’. 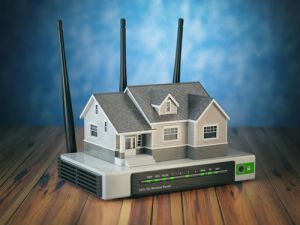 Bigger numbers usually mean more money spent, and having older devices around the home can make purchasing the fancy router a big waste of money. Your devices will still work with the router, but it likely won’t live up to its full potential, like that smart kid in school who decided to hang around with people smoking cigarettes and skipping class behind the bike sheds, instead. Your wireless router’s classification is an important figure to look at, but do keep in mind that buying big doesn’t always equal big value if your devices don’t have the same designation. What are the fastest internet plans in Australia? Wireless routers generally vary in cost when they possess more bells and whistles and any nifty features. 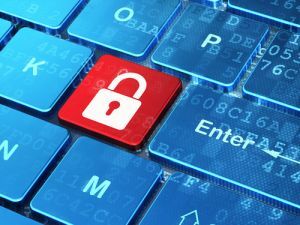 Features such as router range, connection quantities, security, and software designations – among other features – can all make or break a router experience. The comedic tragedy and irony with a 5GHz band is that it can actually reduce the range of your router, as the higher frequency is more susceptible to obstacles. To increase your chances of a fast connection, you’ll need both a compatible device AND fewer obstacles for the band to contend with. 2.4GHz bands don’t usually suffer from such a ‘prima donna’ attitude and are less susceptible to any obstructions and distance. All things considered, with the two bands over the same distance and with no obstructions, the 5GHz one will be quicker. While the 5GHz band may be great if your router is sitting directly in front of you, if you’re upstairs in another room surrounded by walls, while the router is downstairs in the kitchen, you might find yourself being connected to the 2.4GHz band more often. With only 77% of survey respondents stating that their router has enough range for their entire house, buying a 5GHz wireless router may be a waste of money, though one with dual-bands can still be a great investment. Routers with an ‘N’ classification can support a maximum of 30 device connections, while ‘AC’ routers can support around 100. This is likely why the ‘free Wi-Fi’ in the café is so slow, as everyone is trying to connect and is overwhelming the wireless router. 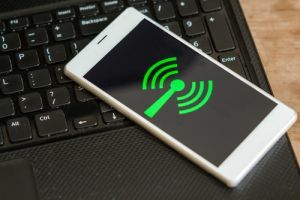 While 30 connections is probably more than enough for your household, if you’re running a small business with frequent clients and a few staff all trying to connect, you might find your wireless router in need of an upgrade! But for the most part an ‘N’ router with 30 connections is likely all you need. Support of third-party firmware to boost security firmware. Some routers have built-in parental controls to block certain sites or information, with some having timeslot locks. 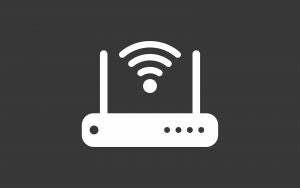 Modern routers commonly feature a ‘guest access’ capability, where you can create a separate network so that your home network isn’t jeopardised by opening up your Wi-Fi to many different guests and visitors. These are some of the features you can expect on today’s routers. Of course, all routers should also allow you to change the password given to you to one of your choice. Other features clearly fall under the ‘bells and whistles’ category. Some routers feature extra support for wireless printers, as well as various USB slots for plugging in any media drives that can be accessed by everyone on the network. Other features, such as gigabit LAN ports, are also handy for getting the best speed possible, to connect your device directly with the wireless router. Ideally, good routers should have multiple LAN ports. These are just some of the features you can expect, and generally the more you spend the more of these bells and whistles you can expect. There are many brands and products out there, with many boasting similar-sounding names. This makes it difficult to find the wireless router that will be best for your needs. A lot of internet providers will also give you a router when you sign up to a plan – often their own brand, or a rebranded one! However, the following eight brands can generally be considered as the ‘biggest’ of the bunch. Here is an overview of what each has to offer. Often used by internet providers in their bundled deals, consumers can additionally pick up a Netcomm modem from their local electronics store, with the Australian brand a popular option regardless of your internet needs. 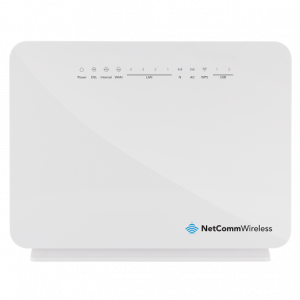 With NBN and ADSL models available, selected Netcomm modems additionally include features such as a dual band Wi-Fi hotspot for both 5GHz and 2.3GHz frequencies, allowing everyone to get in on the action. Rated five stars in every single category, Netcomm was additionally the only brand to score the top rating for range of reception, speed, features, ease of use as well as overall satisfaction. Offering models in either the Archer or TD range, TP Link has plenty to choose from, regardless of how internet-hungry your household is. The TD range is available in both 150Mbps and 300Mbps models and includes multi-functional USB ports and dual WAN ports, making it easy to use whether your house has the NBN connected or not. If you’re looking for something really serious, the Archer series might be more your speed, with most models having at least three antennas, with the Archer C5400 going up to eight. While one of the most expensive options on the market, TP Link was only one of two brands to score five stars for value for money, with last year’s winner also rated four stars across all other categories, including performance, speed and ease of use. One of only a few brands in this list that provides home internet plans as well as modems, iiNet may be a handy option if you don’t mind what type of router you get with your internet plan, or you don’t need a modem with all the bells and whistles. If you’re not with iiNet, you can purchase modems outright, with models such as the TG-789 available with dual band connectivity and NBN-ready compatibility. 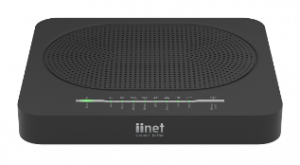 The only other brand to score five stars for performance and reliability, iiNet was additionally rated four stars on range, speed, value for money, ease of use and overall satisfaction, while scoring three stars for features. While better-known for its mobile phones, Huawei offers a number of modems and portable dongles for consumers to use, making it a worthwhile option for those constantly on the move. Dongles include the E3372 and E8372 models, with the latter providing both Wi-Fi and LTE+ capabilities, with multi-device connectivity and a minimum download of 150Mbps. 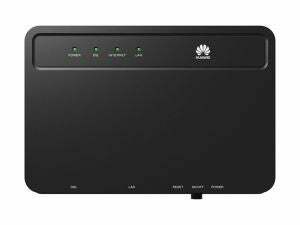 For those looking for a house modem, Huawei offers models such as the MT992 modem, which includes DSL uplink and multiple ports to suit your household. Similarly, Huawei also sells cluster routers for your business. Earning four stars for overall satisfaction, range, speed, value for money and features, Huawei was also rated three stars for performance and reliability, as well as ease of use. 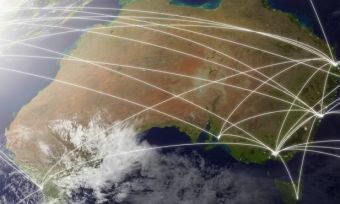 Another brand to offer both internet plans and outright modems, the Telstra Gateway would be suitable for many households, regardless of whether you are currently operating on either ADSL or NBN services. Telstra’s main modem – the Smart Modem Gen 2 – is available outright if you’re not looking to utilise Telstra’s internet plans, but is available in a number of bundled deals. If range is an issue in your household, Telstra also has the Smart Wi-Fi Booster, allowing you to connect your devices from range. Rated a mix of three and four stars, Telstra Gateway rated four stars for overall satisfaction, as well as range of reception and features, while scoring three stars on performance, speed, value for money and ease of use. One of the best-known brands in the world of routers, NETGEAR has proved a popular option for many households, with the brand also commonly used by internet providers in bundled deals. Not as readily available if you’re looking to purchase a modem outright, its modems are available through electronic retailers such as JB Hi-Fi and online retailers, which are outlined on NETGEAR’s website. Split into a number of model lines, the modem that will likely get you most excited is the ‘Nighthawk’ range, which includes a minimum of three antennas as well as VDSL and ADSL compatibility and wireless speeds of up to 5.3Gbps on the top of the line model. 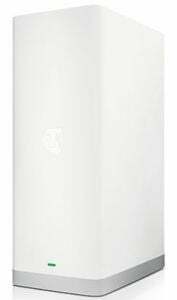 Those looking for a budget option may be more interested in the ‘N’ series, which includes a number of models that are built for households with lower internet needs. Rated three stars for ease of use and overall satisfaction, NETGEAR was rated four stars in all remaining categories, including range, value for money and features. Offering a diverse range of modems and routers to suit all household sizes and budgets, D-Link modems can be purchased online via the D-Link website or just through your local electronics retailer. With range extenders and mobile broadband products also available, D-Link may be worth checking out regardless of whether you’re looking for a modem for your house, or a modem for on the go. 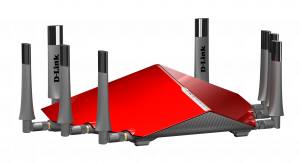 While offering models for smaller households that don’t require a lot of firepower, D-Link also provides plenty for those looking to ‘go big’ on their routers. With the Cobra and Taipan models certain to catch your eye with their design – as well as their tri-band Wi-Fi capabilities – they are also some of the most expensive models available on the market. While scoring four stars for range of reception and value for money, D-Link was rated three stars in all remaining categories, including performance, speed, features, ease of use and overall satisfaction. Well-known in the electronics industry, Belkin covers all things from phone chargers to webcams, with the US brand additionally offering a number of modems for Aussie households to choose from. If you’re after something simple, the N300 may be the best pick for you, while those looking for the top of the line model may be more interested in the AC 1750. 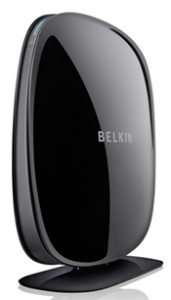 Offering dual-band connectivity and pre-set security features on most models, Belkin is worthwhile checking out if you’re looking for an affordable addition to your house. Rated three stars for overall satisfaction, Belkin was also rated three stars for performance, range, value for money and ease of use, while also rating four stars for speed and features. No matter the brand of router, it pays to know a bit about the tech specs that are bandied about, as well as all the jargon related to speed and connectivity. Often, purchasing the most expensive wireless router out there isn’t always the best way to go, as you’ll need the latest devices to make the most of it. If your laptop is say, over three years old, then chances are you won’t be getting the most out of that fancy new top-line wireless router. It’s worth knowing a bit about your devices and if they can make the most of the latest technology, and then basing your wireless router purchasing decision from that. 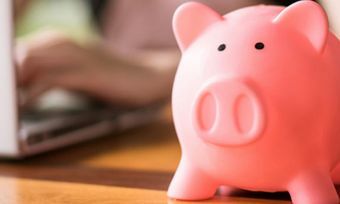 Chances are you could potentially save a few bucks in the process! Wireless router shopping can be a bit confusing, but with the right knowledge it can actually be a bit of fun, as well as ensuring that you can enjoy your next Netflix binge buffer-free. Canstar Blue surveyed 3,041 Australian adults across a range of categories to measure and track customer satisfaction, via ISO 26362 accredited research panels managed by Qualtrics. The outcomes reported are the results from customers within the survey group who have purchased or been given a new wireless router/modem in the last 2 years – in this case, 1,447 people. Are you stuck for something to watch on Stan? Here is our pick of the best TV shows and movies on Stan in 2017. More and more homes can now access the NBN, but these plans can be expensive. How can you save a buck on the NBN? Find out more at Canstar Blue. 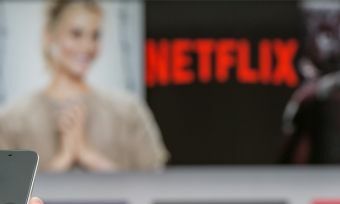 Review the most bingeworthy Netflix shows in Australia, including Mindhunter, Fargo, Mad Men, The Confession Tapes and more at Canstar Blue. Tired of the NBN? Review and compare alternative internet providers using their own network, such as Life Wireless, Spirit & Lightning with Canstar Blue.